It wasn't always FANG! Before FANG there were the CANDIES, another acronym I created -- this one coined back in 2010 for another group of growth stocks that just wouldn't quit. I'm so sick of hearing about how FANG's finished, crushed, over, roadkill, that I decided to dust off the CANDIES to see how they are doing. I was pleasantly surprised to see that the candies are still crushing it, too. What are the CANDIES? Chipotle (CMG - Get Report) , Action Alerts PLUS charity portfolio holding Apple (AAPL - Get Report) , Netflix (NFLX - Get Report) , Deckers (DECK , Intuitive Surgical (ISRG - Get Report) , Express Scripts (ESRX and Salesforce.com (CRM - Get Report) . How have they done since I anointed them? They are up 282% vs. 120% for the S&P 500. How did I pick them? They were the growth stocks for the moment. But oddly, they remain eerily relevant today. Chipotle, up 210% since inception -- and you can only imagine how much it could have been up before the food spoilage incidents -- has rallied 22.5% this year. Apple, up 313%, has zoomed 34% so far in 2017. Netflix is the big winner, having soared 936% and 33% this year. Deckers? It's a disappointment: up 37% since the CANDIES were launched and 27% this year. Intuitive Surgical surprised me that it isn't up more, especially because of how good it is, plus 176% -- but it's added 47% this year. Express Scripts is the real stinker. This drug middleman is only up 17% since the 2010 inception and actually down 12% for the year. Salesforce has been so solid, gaining 284% and 33% respectively. Let's go over why I chose them and see what methodology worked and what was flawed. Chipotle at the time had been the most highly valued restaurant chain. It was putting up the best comparable sales numbers of anyone in the cohort and its unit economics -- store value -- were the best. There were never enough Chipotles, and its highest quality problem was that the lines were too long. It's been 15 months since the last outbreak and the stock's been doing what it should be doing, rallying as people forget the past. But it's been a tough slog. I tired of reading about Apple's lack of innovation since Steve Jobs died. Jobs lived a little more than a year after the CANDIES were launched and the stock did go from $35 to $55, but that's a far cry from its 313% gain. Given that Walter Isaacson, Jobs' biographer, has said that he didn't leave that much on the drawing board, I think Apple's innovated well beyond what anyone else has done in the consumer space, and the quality has only improved. Netflix? I picked it because my kids were cord cutters and turned me on to it as something to do together. I wish I could say more was behind it. But like Apple, I was just attuned to what they were saying. Of course, that doesn't always work. They loved Uggs, too, and when Oprah Winfrey endorsed them I got on board. But the company was never able to develop a second lasting concept, and its stock is only up now because of takeover rumors. Intuitive Surgical has parlayed its Da Vinci machine into multiple markets and is beloved by hospitals as a selling point for patients who can choose where they want to go. How about Express Scripts? It's a pharmacy benefits manager, which has become a widely reviled middleman and lost its biggest client, Anthem (ANTM - Get Report) , which will do it every time. Finally, Salesforce was the cloud pioneer back then, and still is for a host of new business lines. Conclusions? First, this market, like all markets, has a fascination with growth. It never mattered how expensive that growth was, as long as it didn't stop growing, as Deckers and Express Scripts did. Second, you can listen to your kids, but you have to do your homework. I get a ton of ideas from my kids, including Chipotle, Domino's Pizza (DPZ - Get Report) and Apple, but they lost their love for Uggs and you had to swap out of it a long time ago, even as their love for Apple and Netflix burns strong. Chipotle? One's back, the other's not. Pretty typical. Finally, I get angry when I hear these jeremiads about single stock risk. With the exception of Express Scripts, these were all right in front of you, available to all. A buy and homework rap would have made you a ton of money. Don't be scared to buy what you know, as long as you don't stick your head in the sand after doing so. 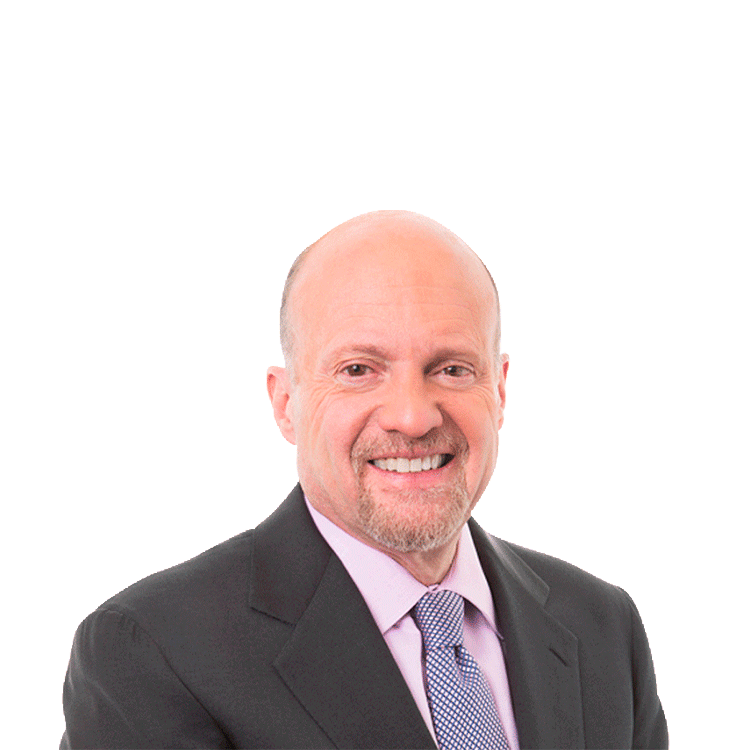 Jim Cramer shares his views every day on RealMoney. Click here for a real-time look at his insights and musings. Cramer: Is This Fearsome Foursome Headed for Reversal? The headline is stark and negative: "Markets Rise in Lockstep, Raising Worries of Reversal." The big concern: Stocks, bonds, gold and bitcoin are all moving up in unison, which makes the market "vulnerable to sharp reversals." I am never one to say we aren't vulnerable to sharp reversals. We have been vulnerable and are vulnerable every day. I remember a particularly halcyon moment for my hedge fund back in 1990. We were up nicely and we decided to take August off and stay on Martha's Vineyard. We got there Aug. 1. On Aug. 2, we got a call at 4 a.m. from one of our key brokers saying Iraq had just invaded Kuwait. I left that night -- fog kept me socked in -- and I never saw the house again. So I am totally all in about sharp reversals from nowhere. But that cast of rising characters -- stocks, bonds, gold, bitcoin -- a move The Wall Street Journal says "rarely" occurs? First, for most of my career, when interest rates went down, stocks went higher. That's been the single most important tandem I can recall. We are in a rare moment where we do want rates to rise to validate what we hope is a stronger economy, because the Fed is tightening as if we have one. But we have never had such an incredible fluidity in fixed income than we have now. You want to own an Italian 10-year bond at the same rate as a U.S. one? It's just insane if you do. That money's coming here, not staying there. How about a German 10-year where you make nothing? That money's coming here, too. All of Europe's like that. I go into this because there are certainly some extenuating circumstances to rates going lower, but regardless, low rates have been historically fabulous for stocks and you can't look through them now. Gold? The precious metal has had many sustained rallies along with stocks. There are plenty of structural factors that make it that way as it, too, is a worldwide market more heavily influenced by fund flows from China and India than the United States. And bitcoin? It's a great way to get money out of a country that you think is failing or about to expropriate your cash. It's traceless so no one in the Venezuelan government is going to be able to follow it. It's invisible to the taxman so those countries in Europe that raised taxes provide a ready-made market. It's the answer for the Chinese because gold's too easily confiscated. You don't think it could happen in these countries? Well, how about ours? FDR confiscated your gold in 1933. You can't confiscate bitcoin. Plus, we now know that many institutions fearing cyberattack have been buying bitcoin to pay off the attackers and they have gotten so brazen when they hack individual PCs that they have customer service lines telling you how to buy bitcoin in order to get your PC unfrozen. Now what the heck does that have to do with the price to earnings ratio of Johnson & Johnson (JNJ - Get Report) or any other stock for that matter? Again, there's plenty of unseen worries, ones like Iraq invading Kuwait that wrecked a perfectly placid summer. But the rise of stocks, bonds, gold and bitcoin, let's just say they will mostly likely not be the cause of a reversal. It's a perma-headline that generates fear and not much else.